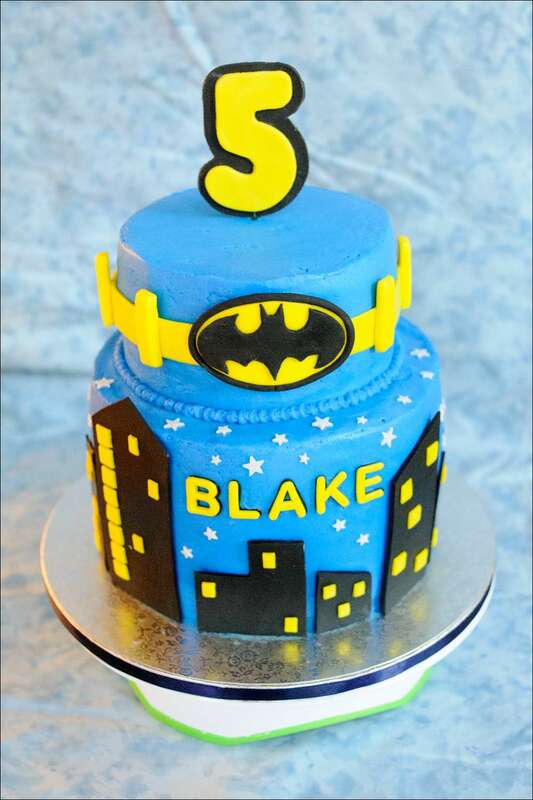 I got an email from a mom looking for a fitting birthday cake for her SUPERHERO son who was turning 5. 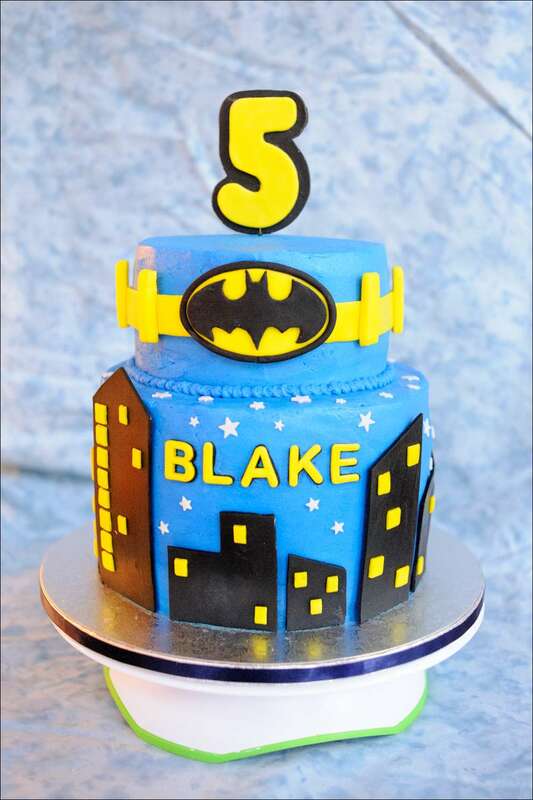 She had in mind what she wanted…a 2-tiered Batman cake with the city scape around the bottom tier and the Batman iconic belt and logo around the top tier. 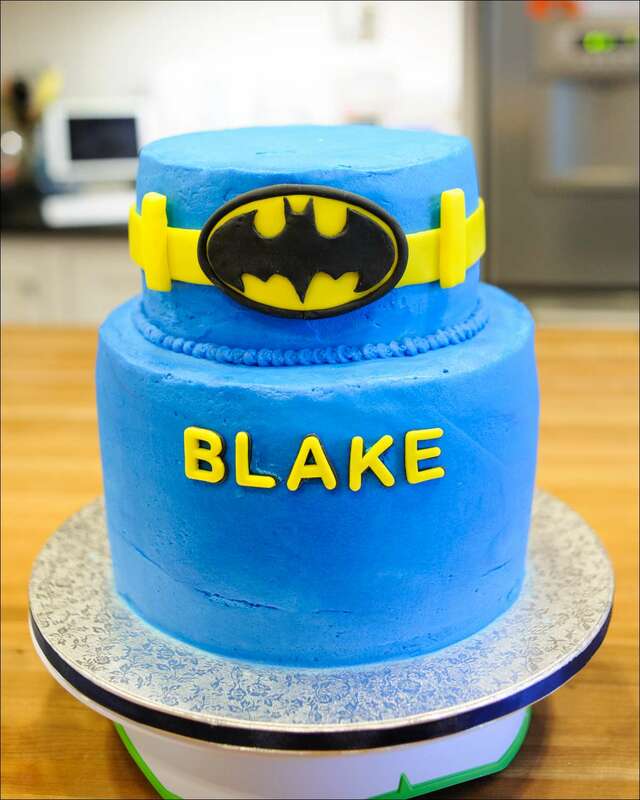 The cake has an 8″ bottom tier and 6″ top tier of white velvet cake and white chocolate raspberry mousse filling, iced with vanilla-bean buttercream tinted blue. 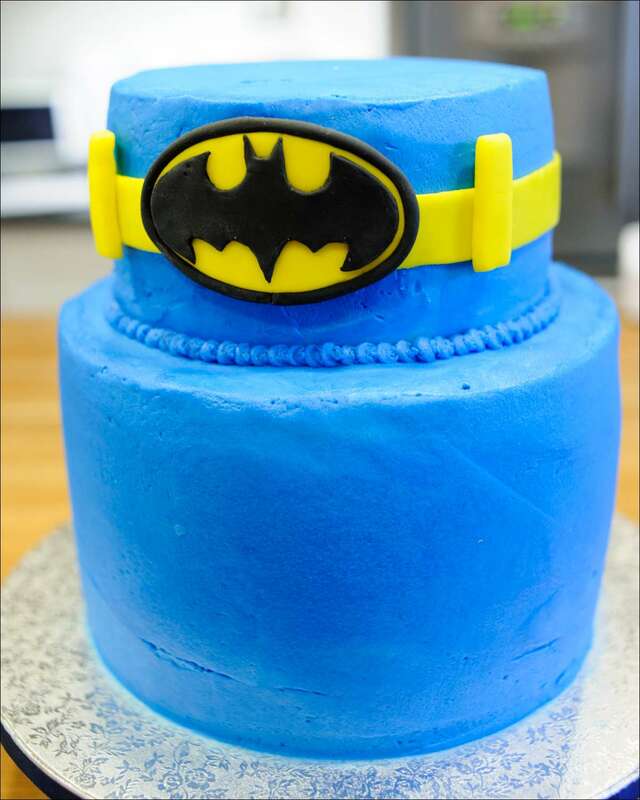 The details are made from homemade marshmallow fondant. 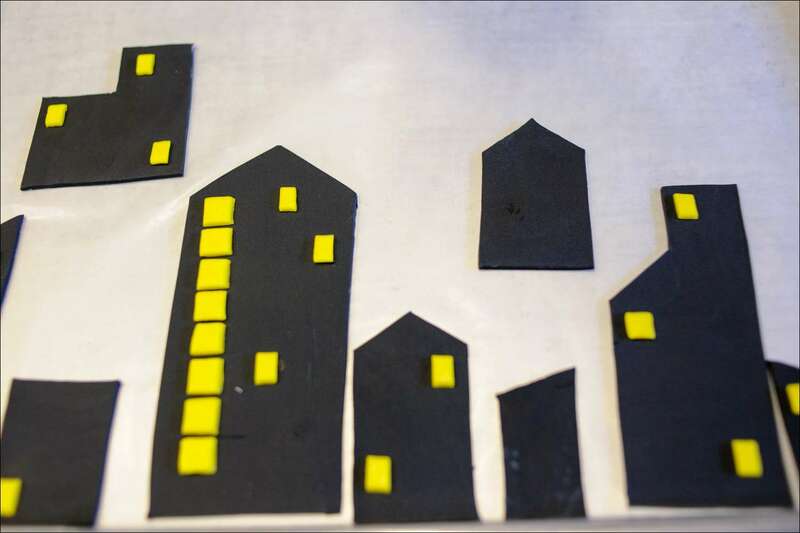 I hand-cut the buildings, belt and logo from black and yellow fondant; the letters are cut using Wilton small letter cutters. I also had some little cute punch star cutters I used for the white stars. 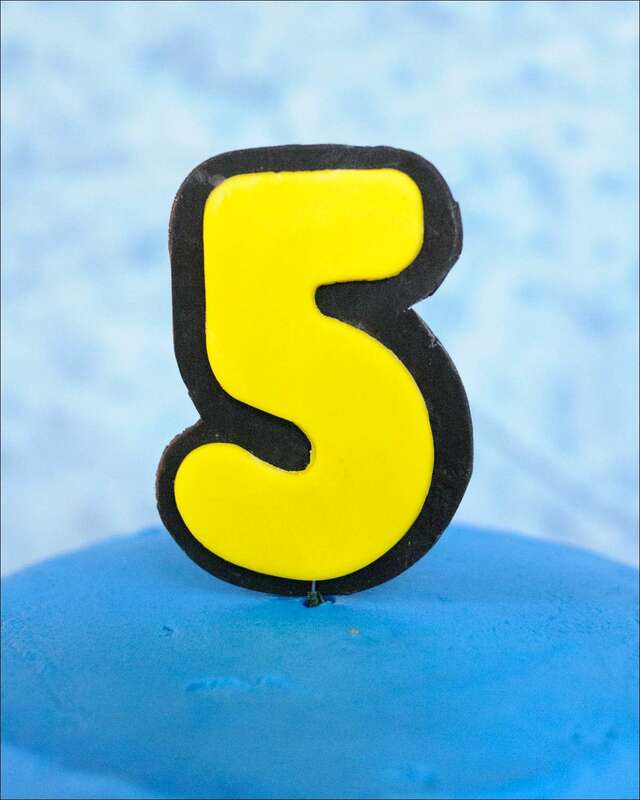 The big “5” is cut with a larger cookie cutter from yellow fondant. 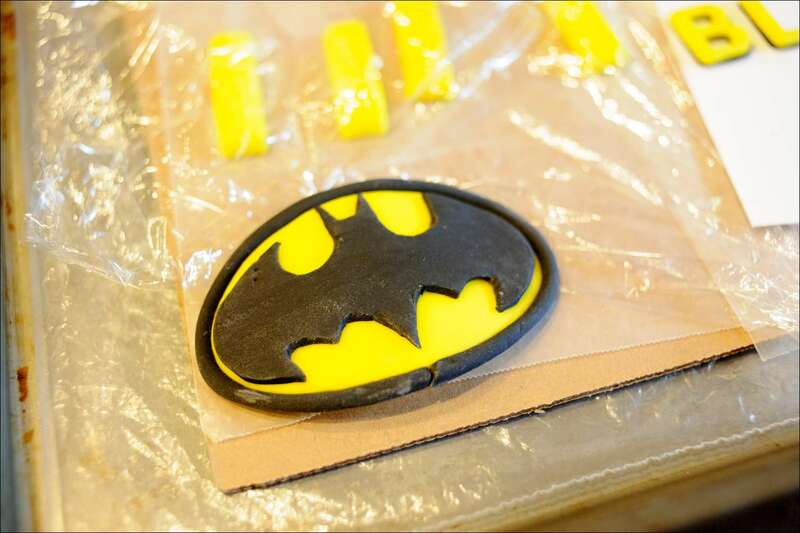 I laid it on top of the black fondant and hand-cut around it to give a 3-D look. 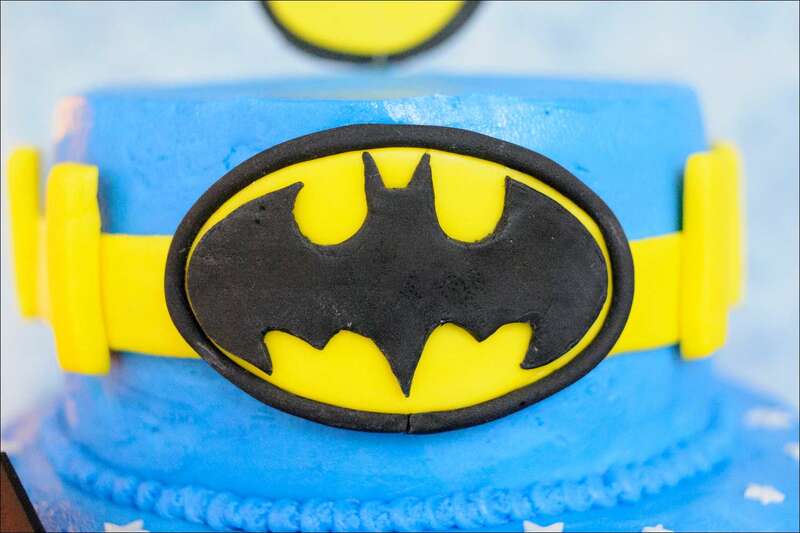 Then I used piping gel to *glue* them together with a wire between to stick into the top of the cake. 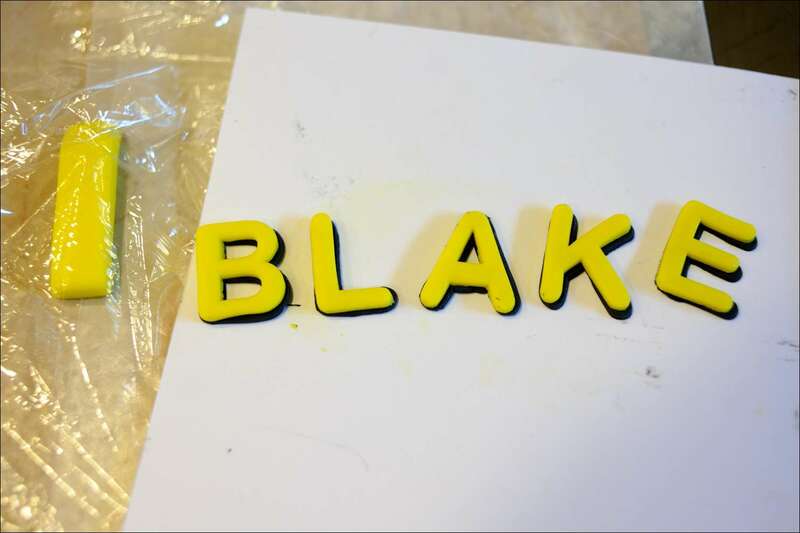 I did something similar with the name letters by cutting black ones and flattening them a bit with a fondant smoother to make them slightly larger than the yellow letters, then glued them together with piping gel. I made all of the fondant pieces a few days ahead of time to allow them to dry and stiffen up a bit (except the belt, which needed to be able to bend around the side of the cake). After doing the final icing, I used a little bit of buttercream to stick the fondant panels, letters and logo to the side of the cake. 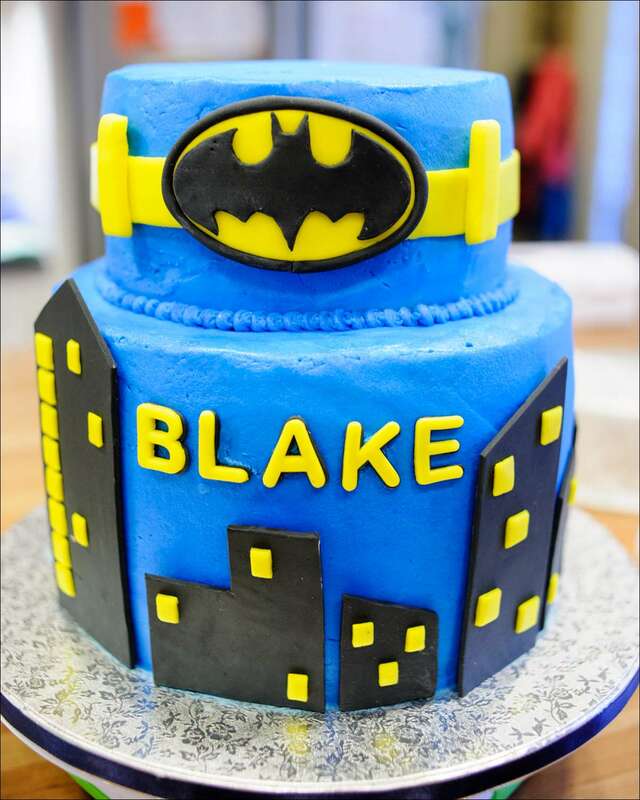 This sure was a fun cake to make….hope you had a SUPER birthday, Blake! !